The Wyoming Fire & EMS Department is dedicated to being actively involved in community outreach and education. Cardio Pulmonary Resuscitation (CPR) and Automatic External Defibrillator (AED) classes through the American Heart Association are taught by knowledgeable Wyoming emergency services members. Residents and those from surrounding communities can take advantage of these classes, and at the end of the three hour course will be CPR and AED certified in adult, child, and infant CPR techniques. With the skills learned in this class citizens will be able to recognize when someone is in cardiac distress, enabling them intervention by administering CPR and/or using an AED while the paramedics and EMTs are in route. American Heart Association studies have shown that early intervention by citizens trained in both CPR and AED techniques greatly increases the chances of survival for a victim of a heart attack, drowning, or other traumatic injury. 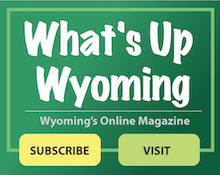 Wyoming Fire & EMS conducts community education CPR/AED classes regularly. All classes held 6:00-9:00 p.m.